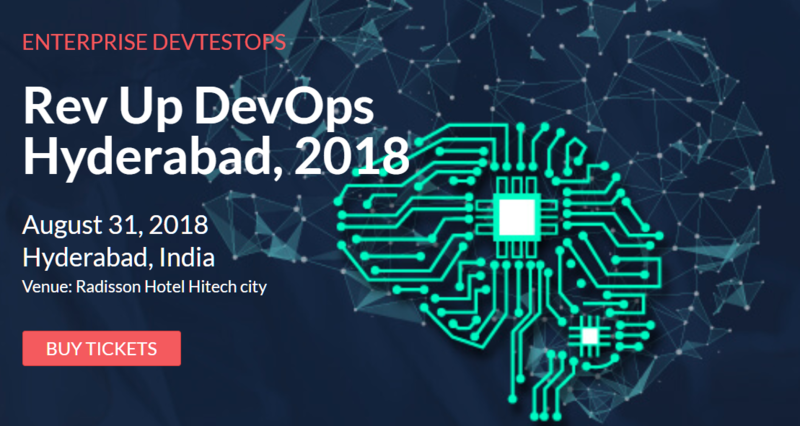 The Rev Up DevOps conference will be organised in Hyderabad on the 31 August, 2018. The Conference is based on emerging theme of “Enterprise DevTestOps”, aims to address the imperative need of demystifying the concept of “DevTestOps” for the success of DevOps adoption at the Enterprise level. Aditya Mony, Executive Director, Global Technology, JPMorgan Chase & Co.